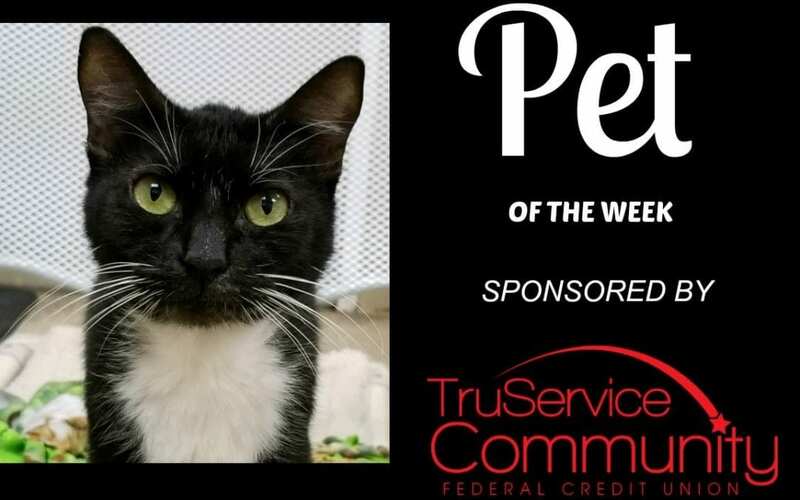 Pet of the Week – Penguin! Adorable Penguin is the week’s Pet of the Week generously sponsored by TruService Credit Union! Penguin is 8 years old and she is a sweet natured, playful girl who loves attention and affection. She wants to be near you at all times and she will even follow you around and talk to you. Penguin came to the HSPC in August because her previous owner could no longer care for her. She is used to being the only pet in the house and getting all of the attention so she can be a little jealous, but she might be okay with another cat with a little time to acclimate to each other. Penguin would love to meet you, come see her at the HSPC today!